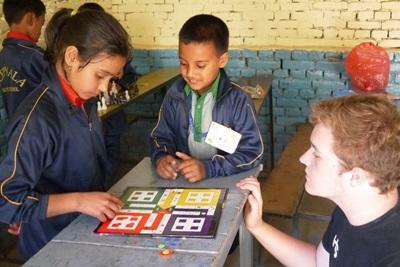 The Deepmala Club is an initiative started by two volunteers from Denmark and the UK, who went above and beyond at their Teaching placement in Nepal. Through their teamwork, creativity, and commitment to service, they have set a remarkable example for volunteers to come. Also volunteering and living with Malte was Harry Smith, now pursuing a degree in History at the University of York. Together, the young men began brainstorming, with the goal of designing a meaningful way to spend the school break, for both the children and themselves. What resulted from their careful design includes two weeks of activities in team building, sports, and learning competitions, and opportunities for instruction in painting and drama. 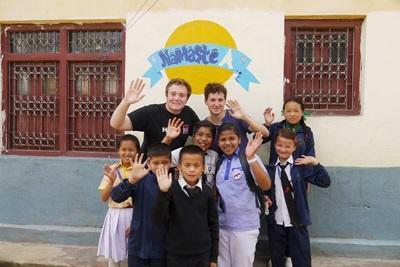 Four more Projects Abroad volunteers, also on a break, joined Malte and Harry as staff for the Deepmala Club. Following the devastating earthquake in the Kathmandu Valley in April 2015, the vacation program started by Malte and Harry was put on hold. Projects Abroad volunteers in Kathmandu and Deepmala are currently teaching children and working hard to repair damaged schools through the Disaster Relief project. With the aid of future volunteers in Nepal, Projects Abroad plans to resume the Deepmala Club once the school’s facilities and local conditions improve. Read more about Teaching in Nepal.